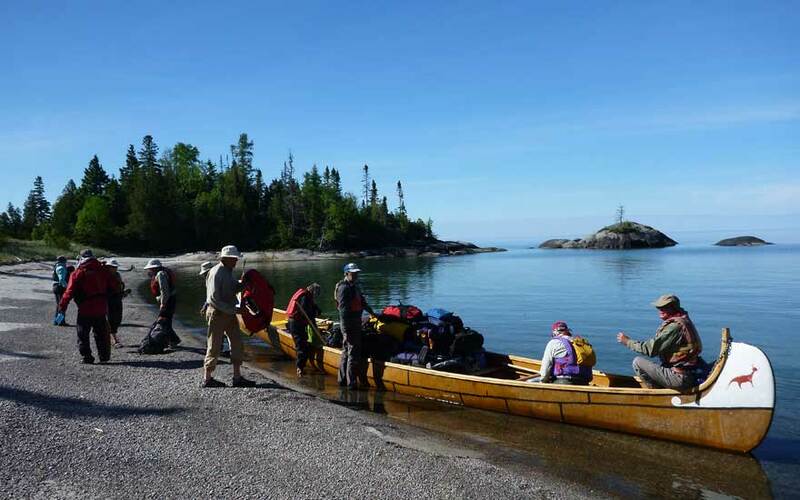 A closer look at Naturally Superior Adventures’ all-inclusive, beginner-friendly 2018 voyageur canoe trips on the wilderness coast of Canada’s north shore. The canoe glides over the swells gracefully, giving you the profound sensation that it was designed for the long horizons of Lake Superior. Indeed, this giant vessel was made for the greatest lake. 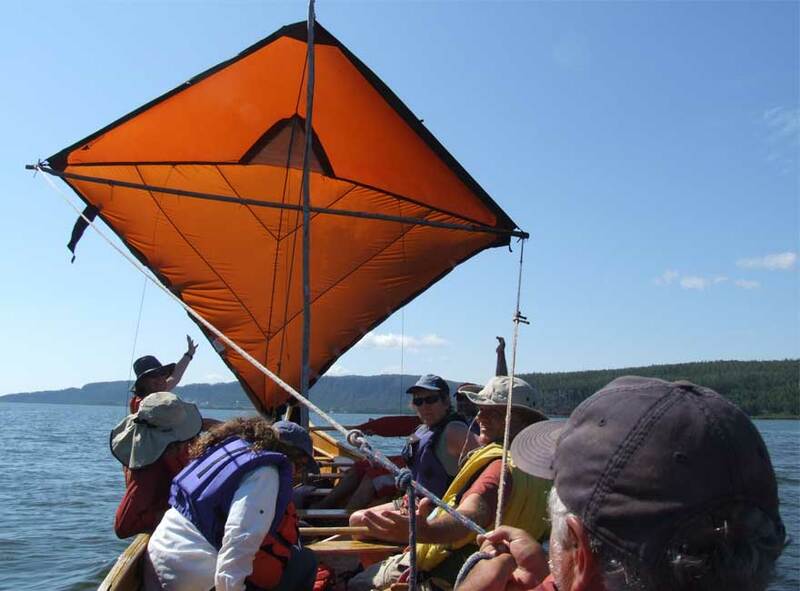 Centuries ago, enterprising fur traders conceived 36-foot-long birchbark canoes (the size of a typical school bus) to convey valuable pelts and trade goods through Canada’s wilds. They called them “canots du maître”—master’s canoes—or Montreal canoes, since fur-trading journeys started and finished at the head of the St. Lawrence River in Quebec. The simple construction of bark and cedar, stitched together with spruce roots and waterproofed with pitch, was inspired by the ingenious craftsmanship of the First Nations. Before the first locks and long before the creation of an international seaway, these canoes—paddled by teams of French Canadian “voyageurs”—were integral to Canada’s oldest industry. Naturally Superior Adventures’ replica canot du maître may be moulded in modern fiberglass, but its dimensions closely match those of the originals. On the water, it paddles much the same: Spacious, fast and stable, capable of handling moderate waves, and light and manoeuvrable enough to be safely pulled ashore on beaches. It is the ideal vessel for paddlers looking to experience the wild shore in safety, comfort, style, and historical relevance. 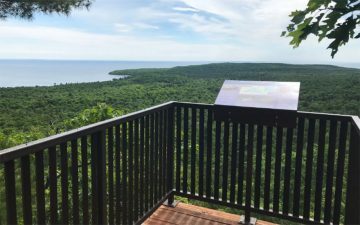 In mid-July, local art historian Michael Burtch hosts a 7-day journey into the heart of the stunning coastal landscape that inspired some of the finest works Canada’s Group of Seven. At Pic Island, you’ll witness haunting, timeless scenes rendered almost a century ago by Lawren Harris (a favourite of Hollywood star Steve Martin). The trip also visits the ghost towns of Port Coldwell and Jackfish, where artists A.Y. Jackson and Franklin Carmichael colourfully depicted thriving fishing and railroad villages long ago. Landscape photographers of all levels won’t want to miss a wilderness workshop by voyageur canoe with award-winning photographer Ariel Estulin, scheduled to coincide with summer’s peak. 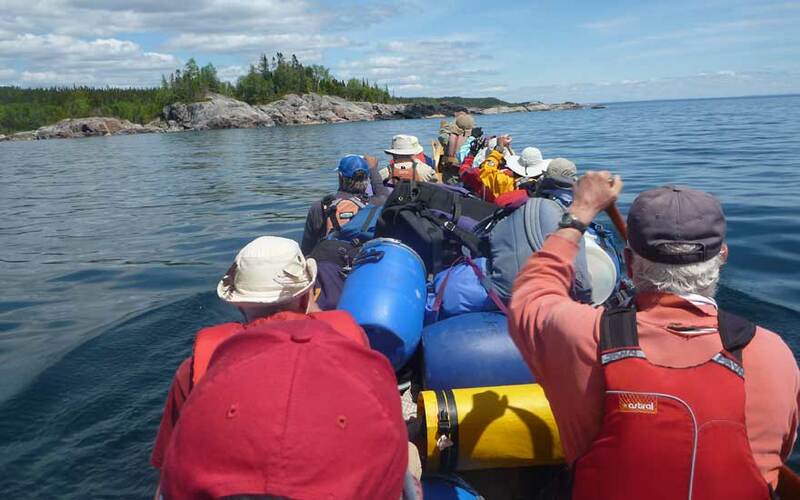 This 5-day program involves equal parts adventure and instruction, with countless opportunities for participants to capture stunning images on the diverse and haunting coastline of Lake Superior Provincial Park. You will receive practical advice for composing great pictures and learn how to make the most of your camera’s capabilities, including personal feedback using iPad tablets. 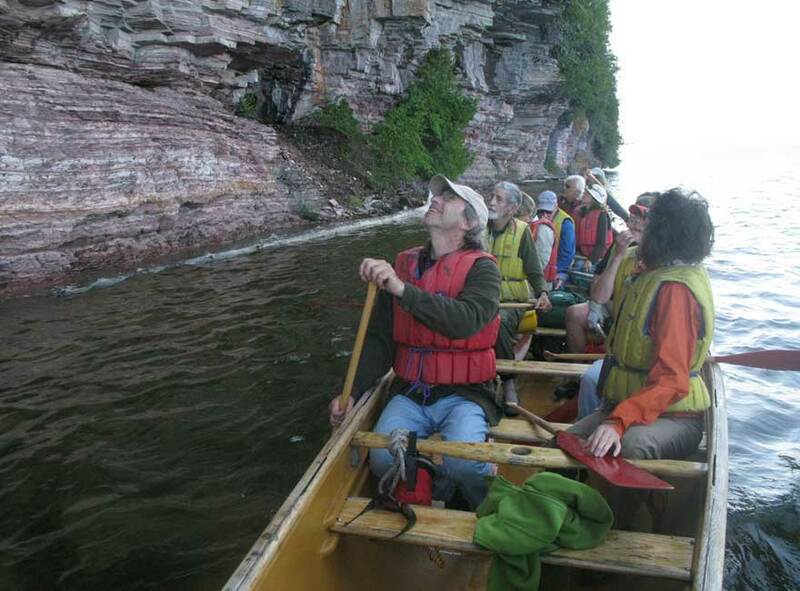 In August, our favourite Canadian musician Ian Tamblyn returns to share his creative talents and intimate knowledge of Lake Superior on a 5-day journey through the wilderness islands of the Lake Superior National Marine Conservation Area to the Red Rock Folk Festival. The trip celebrates the cherished role of folk music in setting the pace of the voyageur lifestyle. Our 36-foot canoe has plenty of space for creature comforts, so be sure to bring along an instrument for campfire jam sessions. 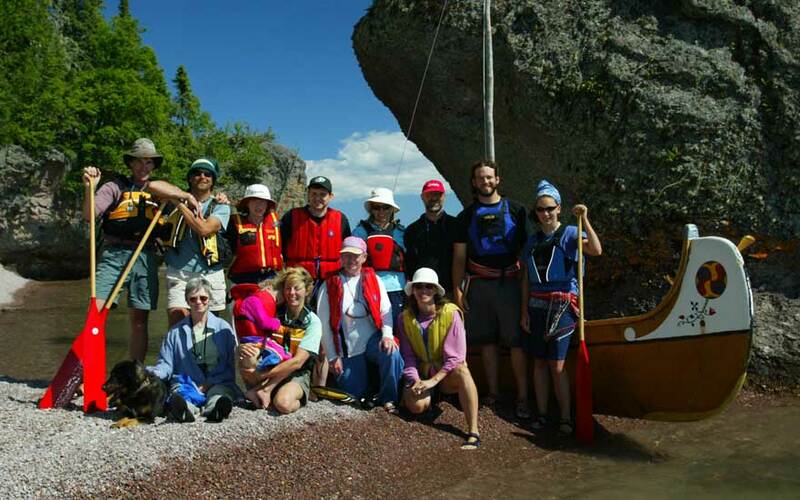 Custom voyageur canoe programs are also available for groups of all ages. Visit Naturally Superior Adventures online or connect on Facebook to learn more. Conor Mihell is an award-winning freelance writer based in Northern Ontario specializing in environmental and outdoor adventure.